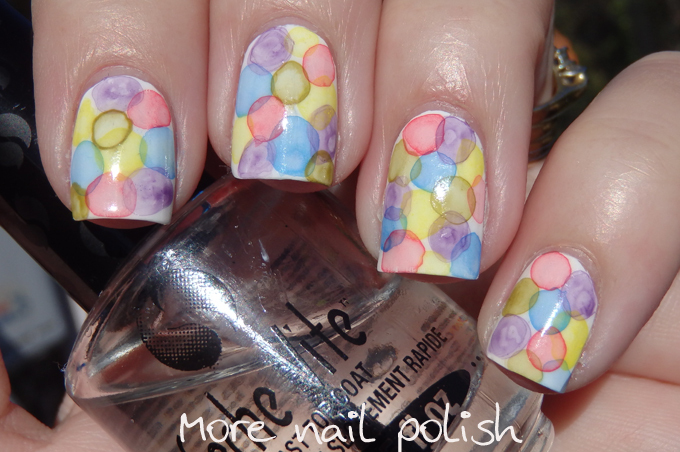 Day 4 of the Digital Dozen and I have another improved mani. 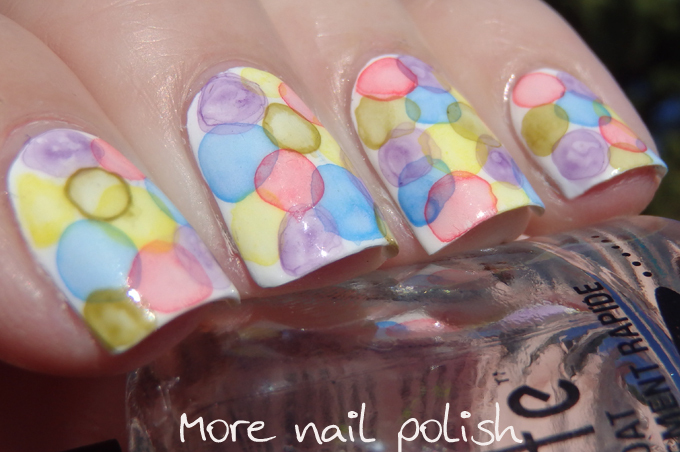 Back two years ago when I first attempted this technique, I forgot one crucial step, that was to apply a matte top coat before you start with the bubbles. The difference this makes is ridiculous! My new version and the original version below both used the identical tubes of acrylic paint. 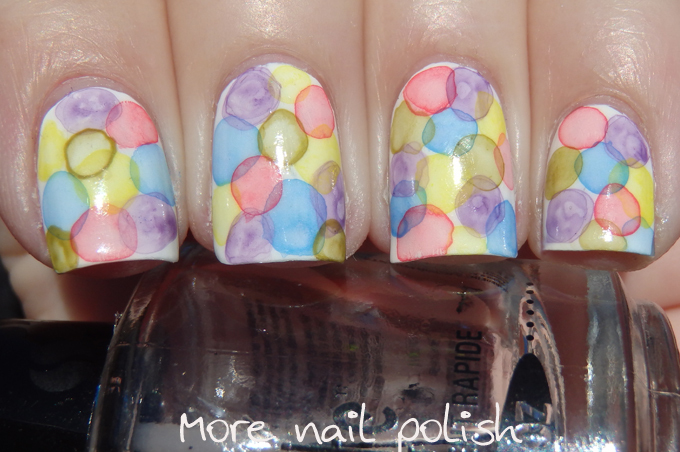 So you can see with the matt top coat you get that smooth full coverage of each bubble. You can also see how you end up with a much more pastel appearance. While I ended up quite liking my origianl attempt, I definitely prefer the new version much more. I just wish I could still have the same vivid colours, rather than them appearing so pastel. Awesome! 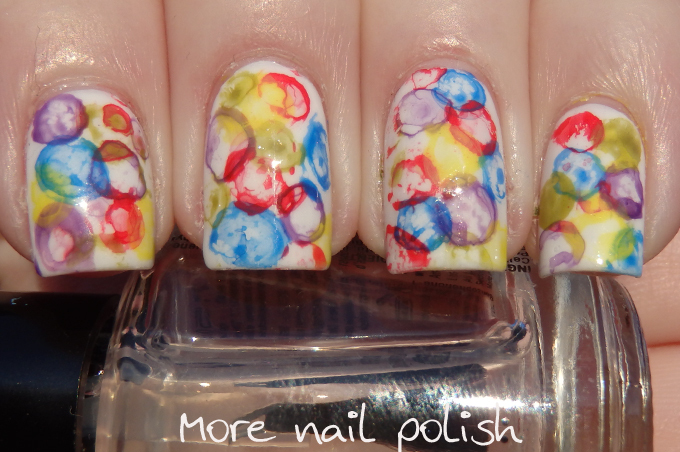 Another method I haven't tried; hopefully I'll remember the matte topcoat too lol! 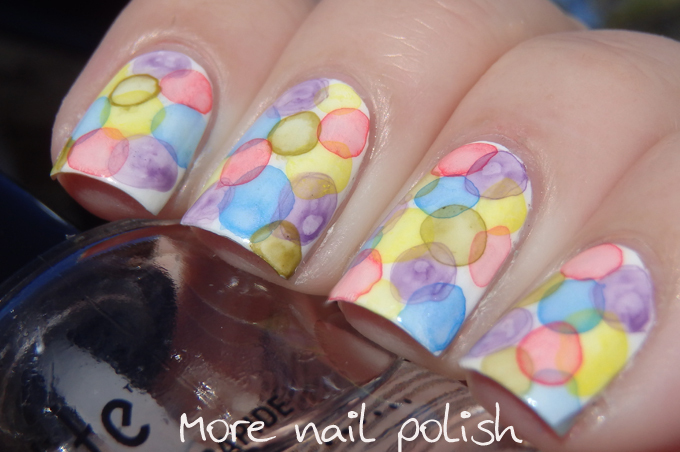 I had no idea that you needed to use a matte topcoat before the bubbles....gah, I'll definitely be trying this technique out again sometime soon haha. These look terrific and thanks for the tip! I've been wanting to try this out for ages! Oh my gosh it's so beautiful! You did an amazing job on these and I love that you went rainbow with it as well.